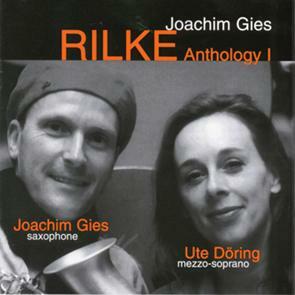 On this seventh CD for Leo Records, Joachim Gies sets the prose and lyric by Rainer Maria Rilke to music for saxophone (Joachim Gies), mezzo-soprano (Ute Doring), and electronic sounds (Michael Walz). As Ute Doring is gradually becoming one of the best mezzo-soprano in the world singing classical and academic music with the world famous orchestras, Joachim Gies has created his own system of playing saxophone with sounds and techniques you've never heard before. The booklet is 20 pages both in English and in German.